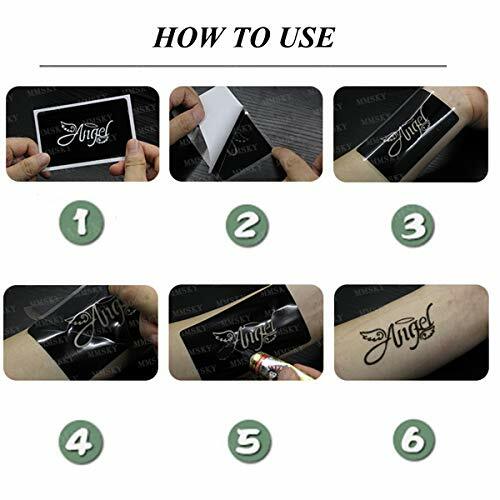 Safe:No Chemicals,Waterproof and Tattoo will last anywhere between 5 to 10 days. Easy to clean: It’s easy to wash off and wipes off with baby oil or Medical alcohol. 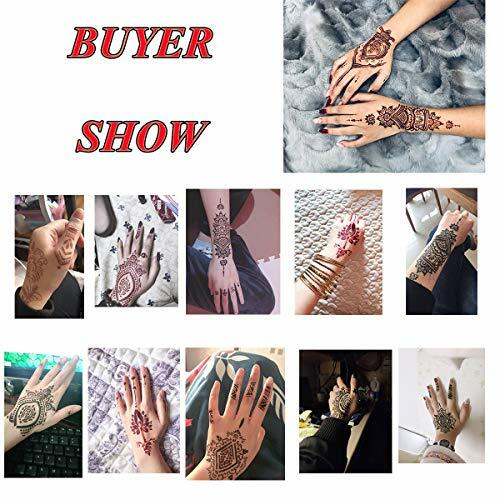 Customer satisfaction: If you are not absolutely satisfied with our product please contact us. 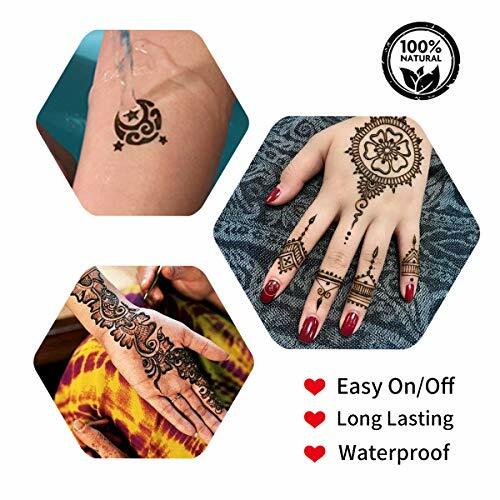 We guarantee will give you a satisfactory solution. 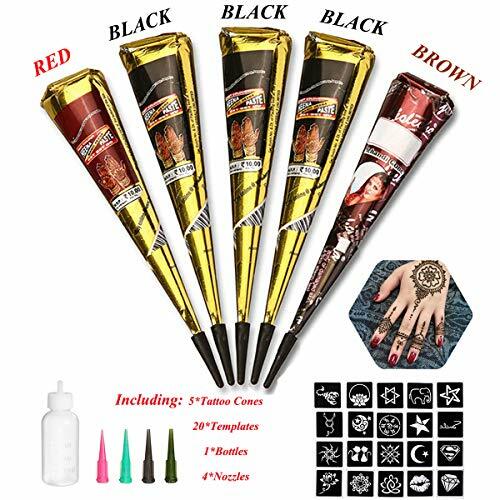 【PACKAGE】 5*Tattoo Cones(3*BLACK, 1*BROWN,1*RED),20*adhesive Stencils, 1*Applicator Bottle with 4*Plastic Nozzle, 【SAFE MATERIAL】No Chemicals,Waterproof and it can keep between 5 to 10 days., 【EASY TO CLEAN】Wash off with baby oil or Medical alcohol., 【REMIND】Tested in a small area of the skin, if there is no allergies, it can be used normally., 【SATISFACTION】If you are not absolutely satisfied with our product,pls contact us. We will offer a satisfactory solution to you.